An Ohio 11-pointer is the kill of a lifetime for one young hunter. Zach Barker, 12, shot this big buck in Perry County, Ohio, on Oct. 25, and though it's not the first buck of his young career, it's certainly the biggest. According to Zach's grandfather, Ronald Gleason Sr., the two had been to the local hardware store to get deer tags before getting to their blind spot around 5 p.m.
Not long after, the two spotted a nervous doe about 20 yards away. A six-point buck wasn't too far behind, and behind him was an 11-pointer Gleason had seen on some trail camera photos. The doe ran into the woods across the field, followed by both bucks, and Gleason said he was sure that was the last they would see of them. But luck was on their side that night, as the doe returned followed by the 11-pointer about 60 yards from Zach and Gleason. 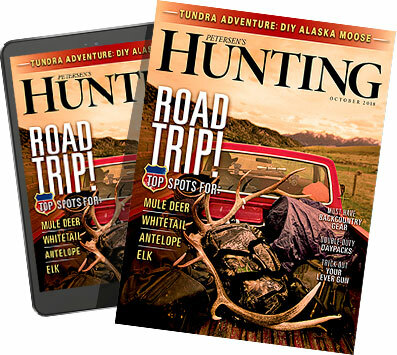 The big buck began making his way toward the hunters, and at about 18 yards broadside, Zach fired his Parker Bushwacker crossbow, connecting with the buck, which turned and high-tailed it into the high weeds. After sitting quietly for a few minutes, the two went back to Gleason's car, where Gleason texted his wife and son to help track the buck in the dark. After finding Zach's arrow with some good blood on it, the small search party was soon zig-zagging through the field trying to find traces of the buck. Though Gleason said he was concerned that they weren't finding more than a few drops of blood, they soon found the buck about 10 yards away near the treeline. Time to celebrate, Gleason said. "This was probably the greatest moment that I have ever experienced in all the years I've been hunting," said Gleason, the self-proclaimed "happiest grandpa in the world." Zach, a hunter since age 6, may have shot the biggest buck of his young life, Gleason said, but there's plenty of time for him to try and bag one bigger. "I know that odds are he may never shoot a bigger one but he has a lot of years left to try," Gleason said.